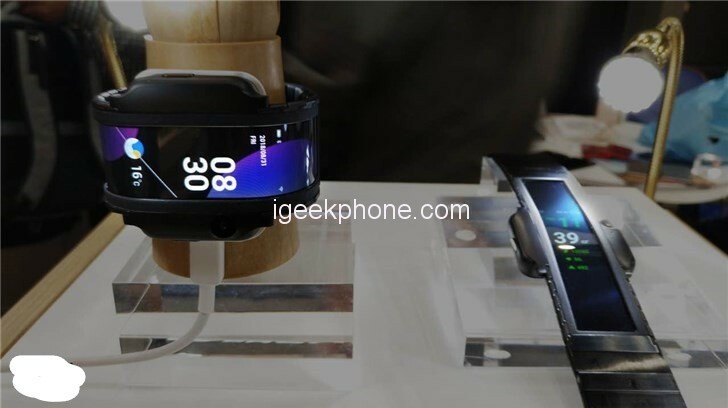 Nubia brought a black technology product nubia-a, the official said that this is an upcoming mass production wrist Part of the surface concept phone. On the afternoon of February 11, Nubia officially announced that it will launch a new flexible screen on MWC2019 on February 25. 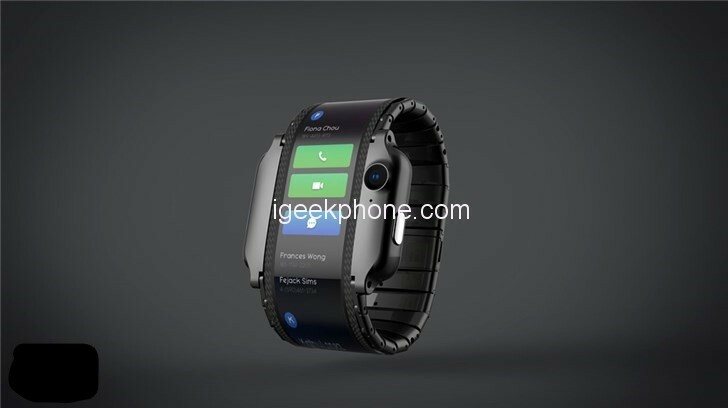 Many media speculate that this new product is nubia-a. The nubia-a is equipped with a large and narrow curved folding screen, which has the form of mobile phone screen operation. 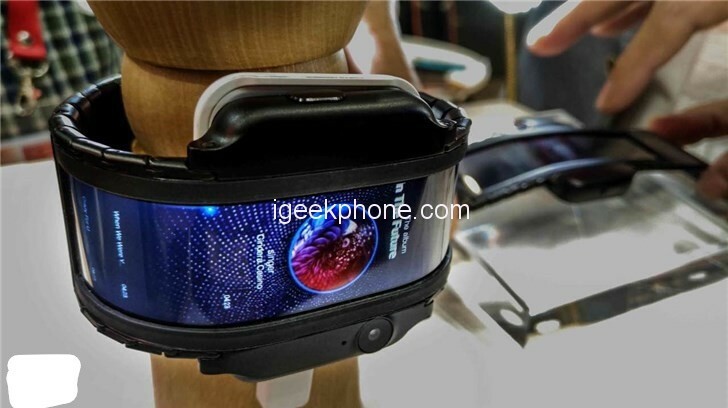 The new form of Nubia nubia-a wrist surface mobile phone allows users to free their hands while wearing mobile phones, they can do other things, such as taking pictures, sports and so on. In terms of configuration and function, Nubia nubia-a supports independent 4G/3G/2G/VOLTE call and video call functions, supports eSIM card and supports mobile payment. Nubia nubia-a is also equipped with a full-color camera, on the side of the front of the phone, with a compact body to shoot more convenient; in addition to portability, it also has powerful sports mode detection, health detection. In addition, users can set different colorful themes themselves. Moreover, nubia-a can be used not only as an electronic clock but also with a unique display strip. In the past six months, Nubia has warmed up this product several times. On MWC2019 (February 25th – February 28th), Nubia may release the production version of Nubia. 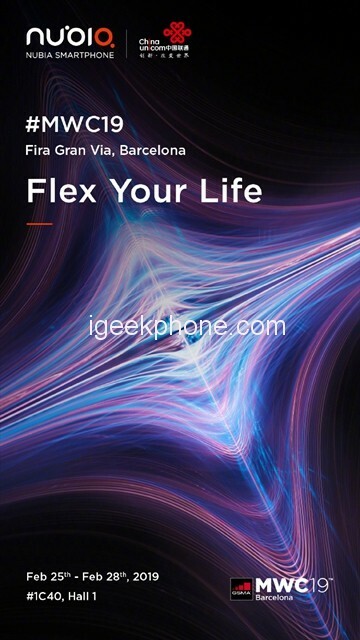 It is worth mentioning that, previously, Ni Fei has said that Nubia MWC 2019 will push new varieties of flexible screens. 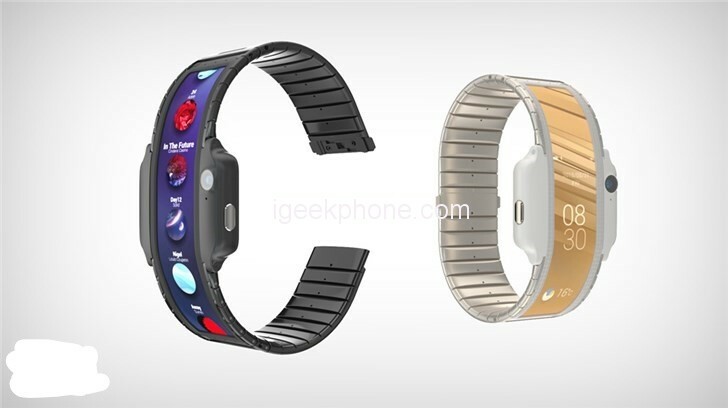 Except for the Nubia a production version, it does not rule out the possibility of Nubia releasing new products.